Below you fill find all funeral homes and cemeteries in or near Swea City. Zip codes in the city: 50590. It was written by Eau Claire Leader-Telegram on February 20th, 2019 that Joy Lorraine Beck (Ditsworth) passed away in Hudson, Wisconsin. Ms. Beck was 92 years old and was born in Swea City, IA. Send flowers to share your condolences and honor Joy Lorraine's life. It was disclosed by Register Guard on December 24th, 2017 that Susan Kae "Ona" Onaclea (Crossley) passed on in Eugene, Oregon. Ms. Onaclea was 72 years old and was born in Swea City, IA. Send flowers to express your sympathy and honor Susan Kae "Ona"'s life. It was written by Salina Journal on February 11th, 2014 that James Edward "Jim" Doocy died in Abilene, Kansas. Doocy was 80 years old and was born in Swea City, IA. Send flowers to share your condolences and honor James Edward "Jim"'s life. It was revealed by Monterey Herald on June 19th, 2013 that Dorothy Glover (Erickson) passed on in Carmel, California. Ms. Glover was 94 years old and was born in Swea City, IA. Send flowers to express your sorrow and honor Dorothy's life. It was disclosed by Monterey Herald on June 19th, 2013 that Dorothy Glover (Erickson) passed on in Carmel, California. Ms. Glover was 94 years old and was born in Swea City, IA. Send flowers to share your condolences and honor Dorothy's life. It was reported by Estherville Daily News on June 19th, 2013 that Michael Fisher passed away in Swea City, Iowa. Fisher was 35 years old. Send flowers to express your sympathy and honor Michael's life. It was disclosed by Estherville Daily News on June 8th, 2013 that Duard Francis Perdue passed away in Swea City, Iowa. Send flowers to express your sorrow and honor Duard Francis's life. It was noted by Estherville Daily News on April 16th, 2013 that Ron "Butch" Kelly died in Swea City, Iowa. Kelly was 70 years old. Send flowers to share your condolences and honor Ron "Butch"'s life. It was reported by Estherville Daily News on April 10th, 2013 that Donald M Johnson passed away in Swea City, Iowa. Johnson was 69 years old. Send flowers to express your sympathy and honor Donald M's life. It was disclosed on February 2nd, 2013 that Ronald James ?Butch? 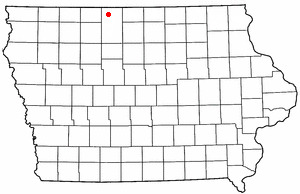 Kelly died in Swea City, Iowa. Kelly was 70 years old. Send flowers to express your sympathy and honor Ronald James ?Butch? 's life. Swea City is a city in Kossuth County, Iowa County, Iowa, United States. The population was 642 at the 2000 census. . . .
Funeral services will be held on Saturday ... Vernette was born April 8, 1933, at Swea City, Iowa, the daughter of John and Alma (Cassem) Vogt. She was raised and educated in Blue Earth where she was a 1951 graduate of Blue Earth High School. Listing all funeral homes in Swea City, Iowa so you can easily send flowers to any location (same day delivery) or find any funeral service. Olson, Kirk - Henry-Olson-Fuhrman-Funeral, Swea City, IA : Reviews and maps - Yahoo! Local, 515.272.4242. Get Ratings, Reviews, Photos and more on Yahoo! Local. The finest roses, gifts and Mother's Day flowers delivered fresh. Serving Swea City, Iowa, surrounding suburbs and the entire country. Local news for Swea City, IA continually updated from thousands of sources on the web. We work with local florists and flower shops to offer same day delivery. You will find budget sympathy flowers in Swea City here. Our funeral flowers are cheap in price but not in value.